Open Monument Day, the largest one-day cultural festival in Flanders, turns 30 this year. The event, which takes place next Sunday, will have some special features in addition to the regular formula of free visits, guided tours, concerts, exhibitions and lectures in historic buildings. Unique this year, for instance, is the chance to try a celebratory beer, brewed just for the occasion. Tripel 30 blends elements of old and new brewing techniques in its recipe, which combines old-fashioned spelt and rye with the usual barley malt. It also contains both hops, a crop grown for centuries in Flanders, with a secret blend of herbs called gruut, commonly used to flavour and preserve beer in the Middle Ages. The beer will be available at many locations throughout the day. 2018 is also the European Year of Cultural Heritage, a theme that dovetails nicely with Open Monument Day. In Flanders, two regions have organised special events with their European colleagues across the border. In the Westhoek, the communities of Poperinge and Heuvelland are hosting a beer-and-wine tasting event along with the town of Bailleul in French Flanders. Hop growers, brewers and vintners will open their doors and showcase their products. On the eastern side of Flanders, meanwhile, 22 windmills and watermills straddling the Belgian-Dutch border are hosting the second annual Borderless Windmill Day. The windmills are located in six towns in Flemish Limburg, including Maaseik and Bocholt, and in three towns in Dutch Limburg, including Leudal and Weert. Volunteer millers will be on hand to give tours and demonstrate how the windmills work. Another theme this year is the work of Léon Stynen, a modernist architect being celebrated by the Flemish Architecture Institute, along with the province and city of Antwerp, throughout 2018. Fifteen of his designs will be open, including his most famous building in Antwerp, cultural centre deSingel, and his own personal residence. 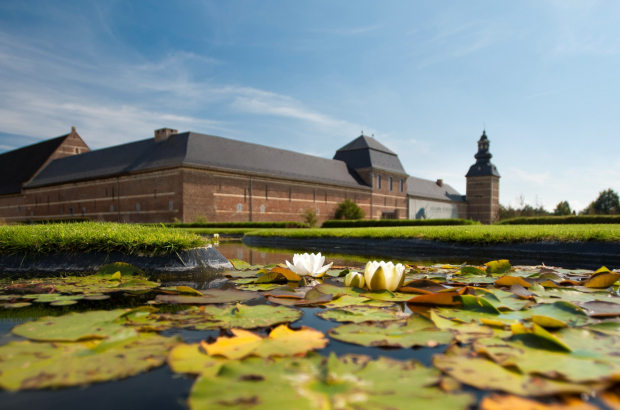 Moreover, with the 100-year commemorations of the First World War in Flanders culminating this year, there are numerous monuments from the war and several activities on the theme. For instance, a motorised train will take visitors around to surviving German bunkers in Zonnebeke, east of Ypres. Or you can visit the bunkers on your own, by bike. One of the event’s highlights every year is the chance to peek inside buildings that are usually closed to the public. This year, visitors can tour the Blankenberge pier from top to bottom, including the roof promenade. In Hasselt, the Neoclassical abbess’s residence of Herkenrode Abbey will fling open its doors. And logistics firm Katoen Natie will open to the public its permanent exhibition 3500 Years of Textiles, containing one of the world’s greatest collections of Egyptian and Central Asian textiles. The first Open Monument Day in 1989 was a collaborative effort between many partners, including VRT, Visit Flanders and the King Boudewijn Foundation. The head of the former Monuments and Landscape Department got the idea from similar events organised in the mid-1980s in France and the Netherlands. And, he continues, “we could also draw attention to policies for the care of monuments”. Thirty years later, the event is still going strong, with hundreds of local volunteers involved and hundreds of thousands of visitors each year. It’s now organised by Herita, an independent, volunteer-based association dedicated to raising awareness and support for Flanders’ architectural, natural and archaeological heritage.